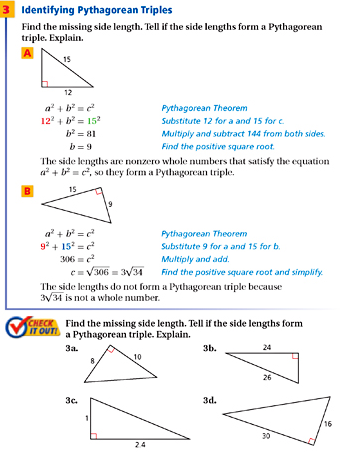 Pythagorean Theorem - In a right triangle, the sum of the squares of the lengths of the legs equals the square of the length of the hypotenuse. 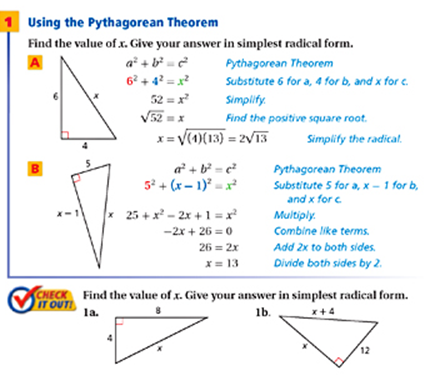 Pythagorean Theorem - In triangle ABC, c is the longest of side. If c squared is greater than a squared + b squared then the triangle is obtuse. 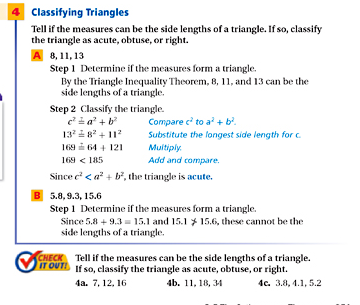 If c squared is less than a squared + b squared then the triangle is obtuse.